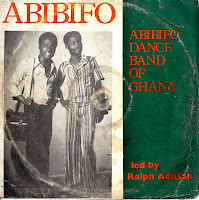 For the next selection on the highlife turntable, I have selected the track Saworoma off a 1976 Panafrik release by the Abibifo Dance Band of Ghana led by Ralph Adusah. I first came across this song when I was visiting a friend in Frankfurt and liked it so much I spent four years trying to get a copy of the LP. 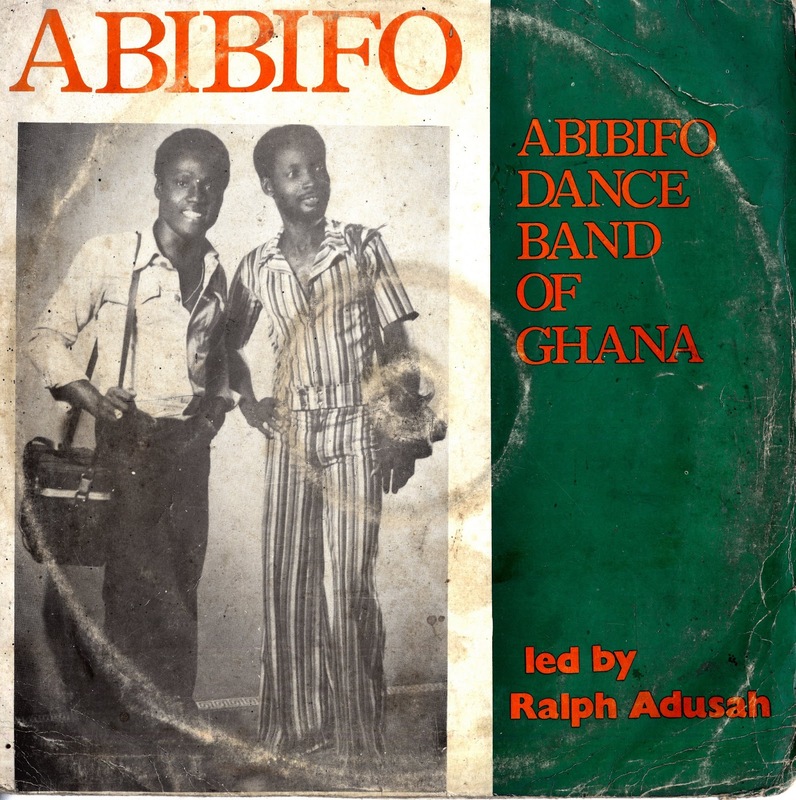 Ralph Adusah was born in the city Kibi in the Eastern Region of Ghana. Between 1968-1973 he was based in Kumasi and performed with the Ambassadors, The Afro-Beats and Dr. K. Gyasi's Noble Kings. In 1974 he moved to Tema and played with The complex Sounds and then left in 1975 to form the Abibifo Dance Band. The word Abibifo means "Black race". The band had 21 members and plays a soulful blend of afro jazz highlife. There are so many parts of this song that stand out for me. The soaring vocals, the solo horn playing and rock solid percussion and guitar work all blend together seamlessly as the songs builds and cascades from one crescendo of sound to another. Great song, been listening to it over and over.